RBS plans to sell Citizens as it prepares for U.K. government stake sale. The Royal Bank of Scotland has confirmed plans for a Citizens Financial initial public offering within two years as it prepares for the U.K. government to start selling its stake. RBS (RBS) Chief Executive Stephen Hester said the group would look to sell about 25% of Citizens via an IPO in New York. "[Citizens] has been substantially improved since 2009 and a local public listing will help to highlight its growing value," Hester wrote in a letter to shareholders. 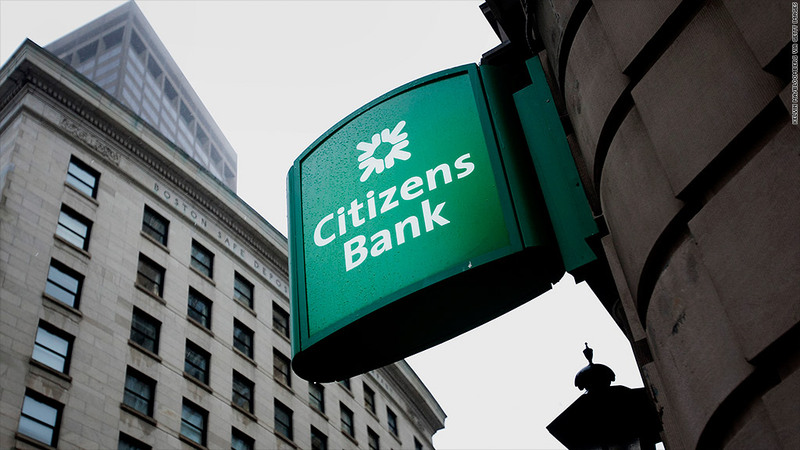 Analysts say Citizens is worth about $12 billion and have mentioned Canada's Toronto Dominion Bank, PNC, and U.S. Bancorp (USB) as possible buyers should RBS decide to sell outright. Citizens Financial Group has its origins in Providence, R.I. It was bought by RBS in 1988 and has grown since then by way of 30 acquisitions into one of the top 15 commercial banks in the U.S. It has more than 1,400 branches, serving around 5 million customers in the north east of the country. RBS was rescued by the U.K. government during the financial crisis of 2008 at a cost of £45 billion. It began a 5-year overhaul aimed at making the bank smaller and financially sound to allow the government to begin selling its 82% stake. It has shed £906 billion in assets since 2008. RBS repeated that it expects to be fit for sale before the next U.K. general election in 2015. "[We are] much closer now to being in the good financial health that would allow shareholders to receive a dividend and the government to start to sell its stake," said RBS Chairman Philip Hampton. Operating profit nearly doubled last year to £3.5 billion, but losses on the value of its own debt and the cost of scandals including Libor rigging and the improper sale of products resulted in a pre-tax loss of £5.2 billion. Despite the loss, the bank said it is paying £607 million in bonuses for 2012, including £215 million for investment bankers, down 23% from 2011. RBS has clawed back about £302 million from past bonuses or deferred payments to staff involved in rigging Libor.